If Lenovo's Smart Display with Google Assistant, which got official a few days ago, hasn't impressed you, perhaps this will. 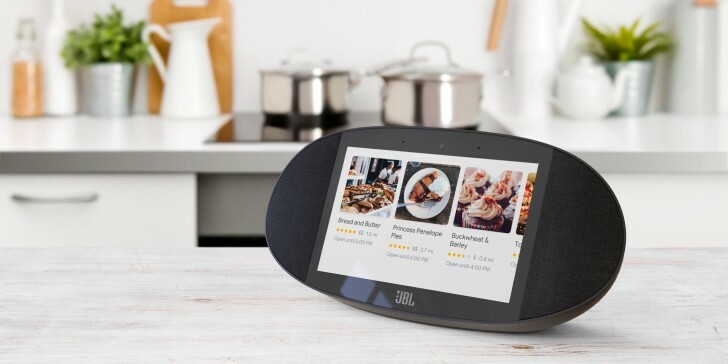 The JBL Link View is the second Google Assistant-powered smart display to hit the market, and it's now up for pre-order at its maker's official online store. You can have one if you pay $249.95. Shipping starts on September 3. The Link View has an 8-inch "HD" touchscreen (exact resolution unknown, but we assume it's 720p), "legendary JBL sound" with deep bass and clear highs, a 5 MP front-facing camera for video calls, wireless Bluetooth streaming from your smartphone or tablet, as well as a camera shutter and microphone mute slider for when you want complete privacy. It's IPX4 splash proof, and also easy to clean. Its dimensions are 332 x 152 x 100mm and it weighs 1.3kg. You can use it like a Google Home, except it also has a screen on which the Google Assistant can show you stuff - recipes, YouTube videos, the likes. Chromecast is built in so you can cast things to it from other devices. Woah cool! I've always wanted a Pulse 3. I have got 4 JBLs (1 Go, 2 Charge 3s, 1 Xtreme) & and Im happy with them. So, thanks but no thanks! JBL Pulse 3. It was a gift from my uncle. :D And I'm happy with it since I love its colors!